Peacock cries at its ugly feet…Is it? We have always been told from our bedtime stories that a peacock happily flaunts its beautiful tail and dances in the rain but cries when it happens to look down and sees its ugly feet. Isn’t this detesting the ‘Ugly’? There could be two ways of looking at the same thing and either one could be substantially correct. 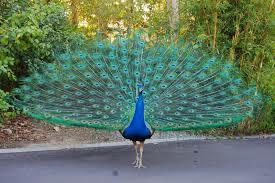 I have seen a peacock carry the burden of its wings, its long tail and its beauty. A bird without a flight is like a man without a dream. If we see through the perspective of a peacock, it could be that it is seeing its fellow birds fly but still cannot because is supposed to carry the weight of its beautiful tail with every flight. I feel that beauty could be a weary load for the one carrying it. Yes, we all love rain. It brings smiles and happiness in the eyes of all the creatures including the peacock. One feels like dancing and enjoying and so does the peacock. But the reason of its dance and tears could have a different meaning altogether. Irrespective of the sketch of the bedtime story, I feel like sharing my opinion. During a rainy season, if we happen to observe small birds, like sparrows for instance, we will notice that it takes a lot of effort for them to dry their wings in order to take their next flight after a heavy rain. In case of peacock, it takes a lot of effort for a drenched peacock to pick up its heavy tail to the first level, then the second, then the third, and by the time it reaches the top level, the body of the peacock becomes so unstable that to maintain the balance it has to move around on its feet so that the water in the tail sheds off. In the process the head bows down towards the ground and the water (tears) begin to flow from the eyes. These tears could be an involuntary reaction of the body of the bird carrying such a heavy tail. 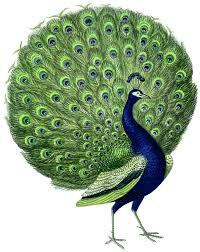 So the peacock may not be crying because its feet are ugly but it is simply being itself irrespective of any emotions. But minds of kids are clouded by the fact that a peacock dances in the rain with its beautiful tail but cries on seeing its ugly feet. Instead it could be told that beautiful and ugly compliment everyone by mutually supporting each other. Ugliness need not be detested but appreciated for what it is; it is not an entity that needs to be cried upon but is an asset that is important and has its own purpose. This story is a beautiful example of an individual perception of emotions being transcended so strongly through generations. I think in the age of smart phones, smart parenting and smart kids, our bedtime stories need to be innovated and retold. The existing versions were meant to be for peaceful times, simpler parents and simpler kids. Today, our kids need to be allowed the privilege of both the options of the story or even more, if possible, and let them make their own choices to whichever their mind wants to accept. People have a tendency to look at this mesmerizing world through the limited choice of lenses available to them. The first thing the technological advancement of the 21st century needs to do is to provide the minds of people with a variety of innovative thinking lenses, so that they could stop using the stagnant but prevalent versions.